They just have to smooth out some kinks, like preventing it from exploding en route. 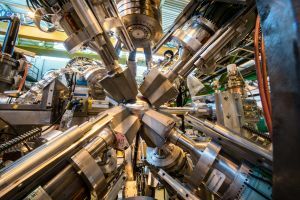 Like the parents of a newborn baby preparing for the first car trip, particle physicists at the European Organization for Nuclear Research (CERN) are taking every precaution in preparing to transport antimatter on its first ride. However, antimatter — the less-understood counterpart to the abundant matter that makes up you, me, and the universe — comes with a unique host of qualities, somewhat different from a baby’s: like its willingness to explode in response to any contact whatsoever with matter. You can’t simply put antimatter in a container and throw it in the back of a truck; in fact, any of those steps would spell disaster. At CERN, scientists operate the largest particle physics laboratory in the world. Here, antimatter is produced in a number of different experiments, but capturing, storing, and transporting it is an enormously ambitious task. This is why CERN has designated a special project for this exact task — the antiProton Unstable Matter Annihilation (PUMA) project. 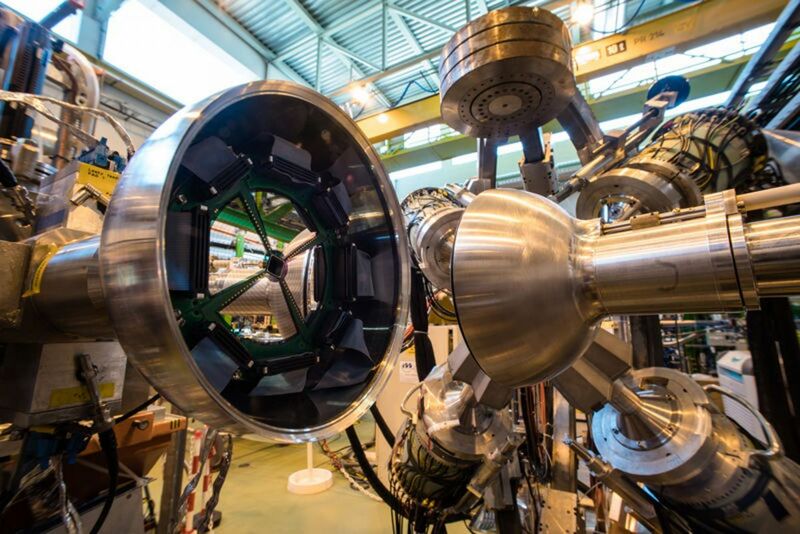 The PUMA project will take antimatter on its first journey. While that may only be a few hundred meters from its starting position, to the site of a nearby project known as ISOLDE, the trip will require at least four years of intensive research and preparation. To complete this grand voyage, CERN researchers are developing a technique in which they “lock” antiprotons in a “bottle.” Obviously, the antimatter can not touch the sides of the container, so they would instead be suspended by magnetic and electric fields in a vacuum, not unlike the vacuum of space. 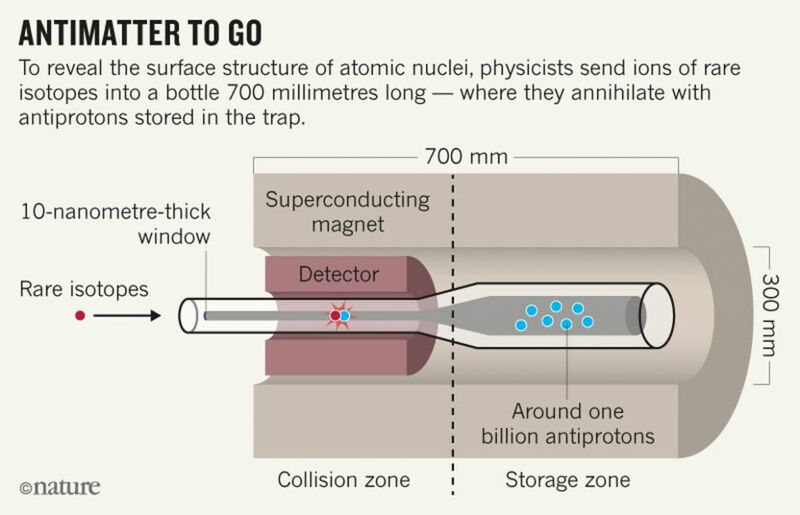 The trap design so far would be able to store one billion antiprotons at one time, which is over 100 times more than existing technologies allow for. Even further, this “bottle” would be able to store the antiprotons for weeks at a time, allowing for a slow and secure moving process. At ISOLDE, these antiprotons will be used in experiments to better understand neutron stars, which are the collapsed cores of large stars. Antimatter could be the key to better understanding these distant objects as well as many mysteries of the cosmos, like why there is so much more matter than antimatter in the universe and what dark matter is made of. By understanding how to produce, locate, transport, and potentially use antimatter, we could not only develop practical applications for it, but could also reveal answers to questions scientists have been asking for decades.